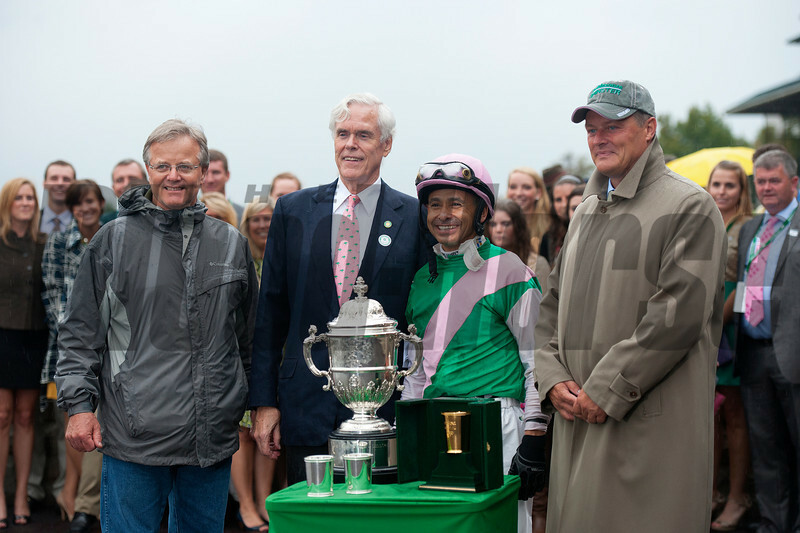 Caption: l-r PRES: trainer Bill Mott, Juddmonte president John Chandler, jockey Mike Smith, and Juddmonte manager Garrett O'Rourke. Emollient with Mike Smith up wins the Juddmonte Spinster Stakes (gr. I).